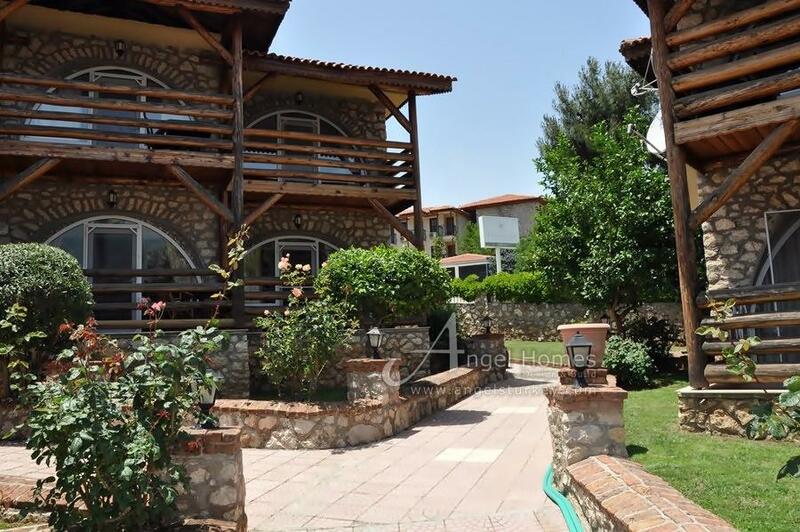 Located in Hisaronu, this lovely 2 bedroom duplex apartment is situated in the most perfect location on a sought after complex with large shared swimming pool, stunning gardens in well-maintained extensive grounds with just 20 other apartments. 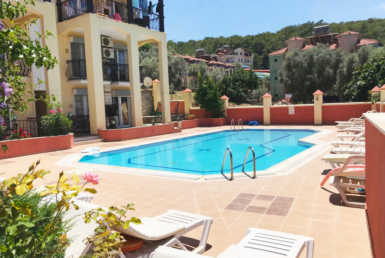 The complex is just a minutes walk to all of the bars, shops and restaurants of Hisaronu which is great to enjoy the party atmosphere. Ovacik is 10 minutes away, should you fancy a quieter night, and is famous for its breathtaking views and fresh mountain air. 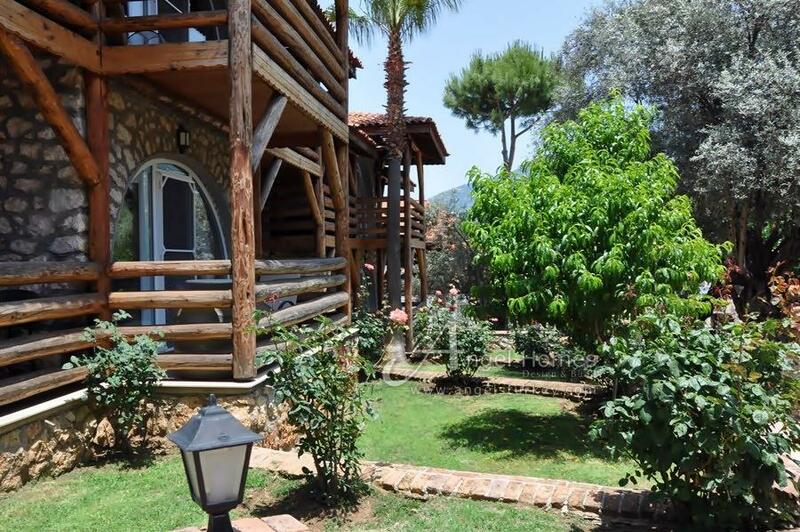 Fethiye is the main town of the area, and is open all year round. It has a very cosmopolitan vibe with its boutique shops, cafes and restaurants, everything you need is here. 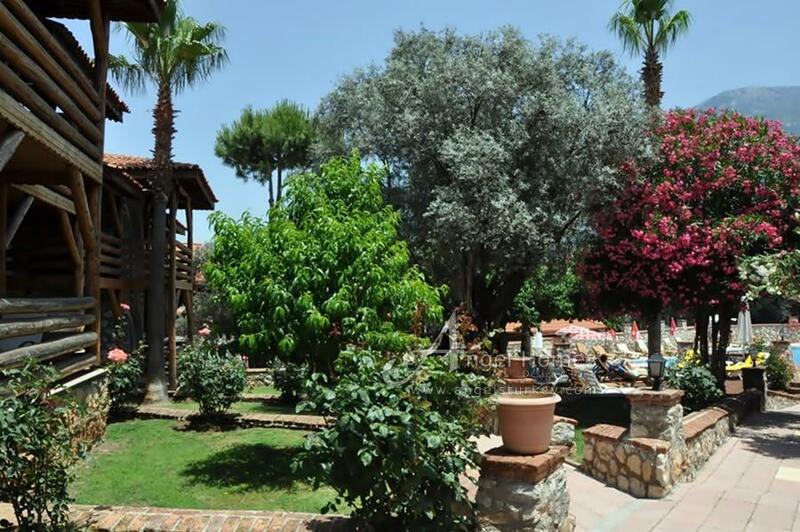 Why not visit the old town and have a Turkish Bath and massage in the oldest establishment in the area. Or sit and watch the world go by on the Harbourside. 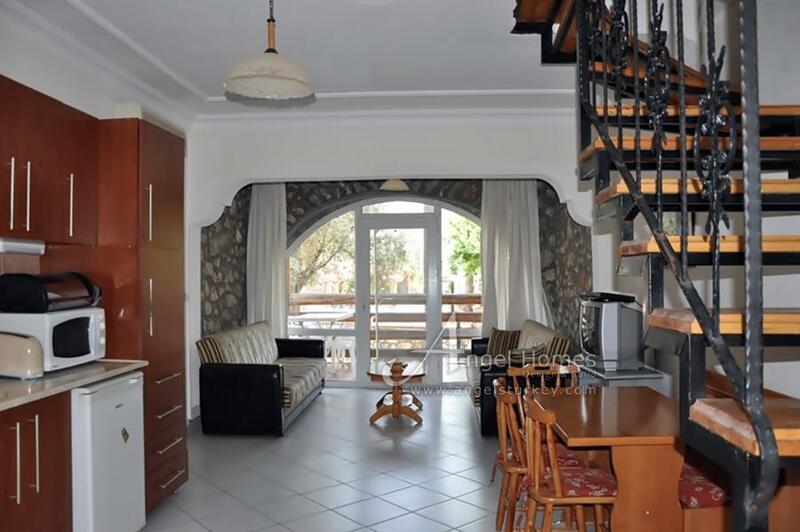 This ground floor apartment has an open plan kitchen, living room/diner and from here there are double doors that lead out onto your own private terrace area. 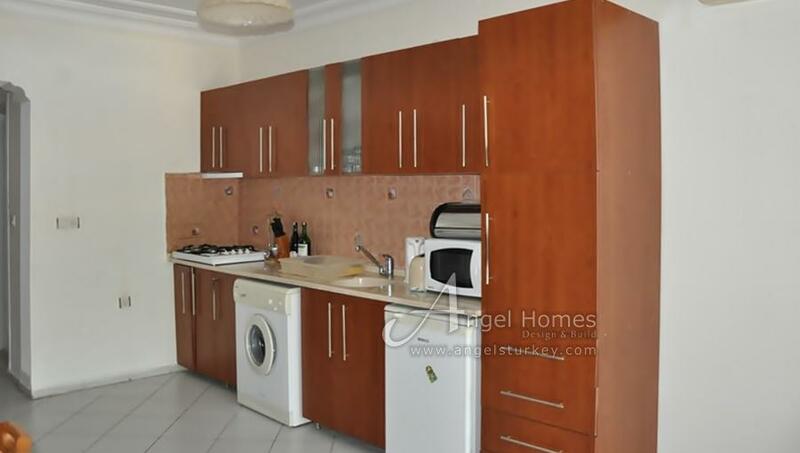 The kitchen is fully loaded with washing machine and cooking facilities. There is also a bathroom on this level with shower. 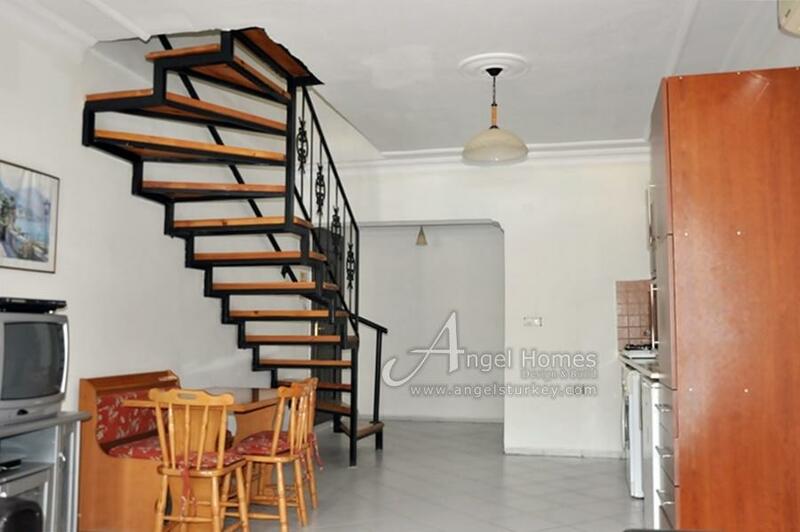 A feature of this property are the wooden stairs which take you to the first floor where the 2 double bedrooms are situated. 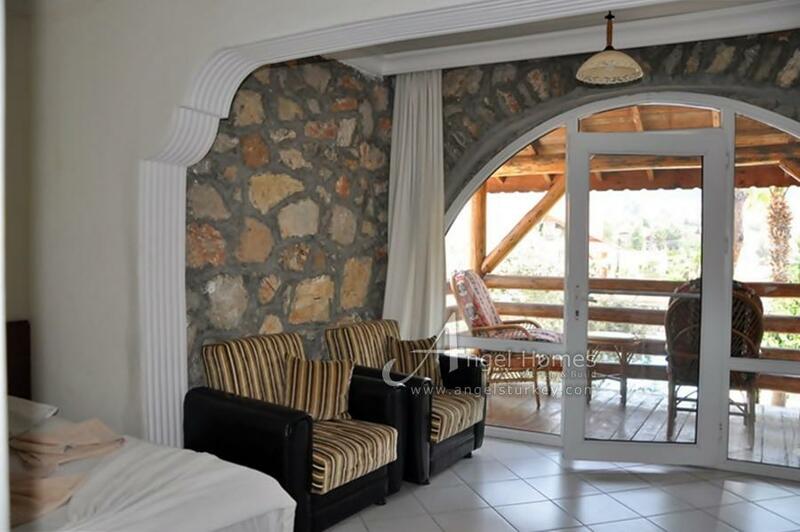 One of the bedrooms has a large private balcony and there is also a family bathroom that services both bedrooms. 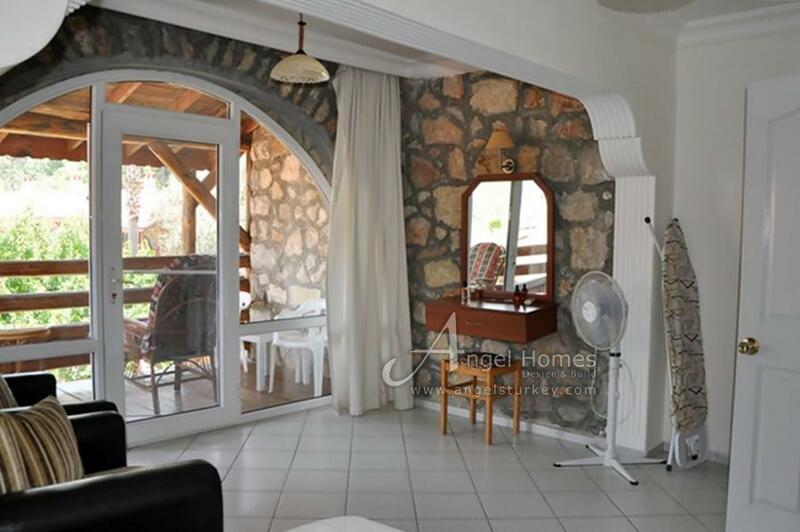 This property is set in the best location should you wish to purchase as a buy to let or a holiday home, especially as this property already has an established rental potential.